Potty training is hard enough so let us help you. We reviewed some of the most popular potty training seats out there. Chairs that play a tune. Folding travel chairs with handles. Extra-stable chairs, some with seatbelts, for special needs children. Potty seats with handles for extra security. Flip-up seats that stay on the toilet. 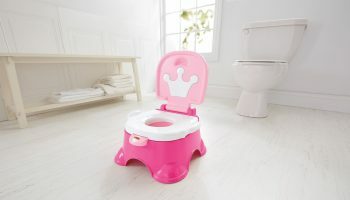 In Dr. McVittie’s opinion, as both a mom and a potty seat expert, it doesn’t really matter what type of seat you choose as long as it interests your child. A child should have some input into what type of potty chair he or she uses, but, cautions Narmin Parpia, founder of Potty Training Concepts, a parent first has to decide what works in their home and then can give options to find out what’s right for the child. 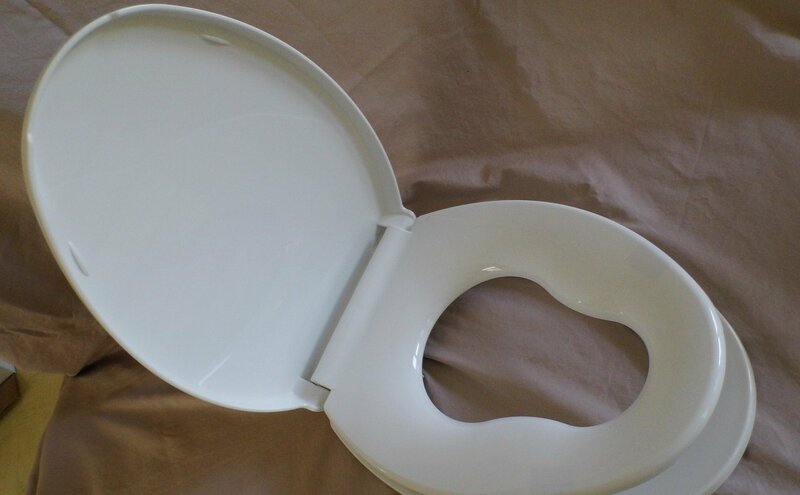 For example, Parpia says, if you have several small children, a flip-up potty seat that stays attached to the toilet between the lid and seat is probably a good choice. This keeps the child (or mom) from having to put the seat on the toilet every time it’s time to go. Or, if you have only one bathroom, you may be better off with a portable potty chair that can be used in an alternative location. Also, don’t be afraid to change potty seats if it isn’t working out. Memory Mason, of Atlanta, Ga., used one potty seat for her son, who is now 8, but has purchased a different model entirely for her 2-year-old daughter. “My 8-year-old felt unstable on the toilet adapter potty chair he used, so I now have one that’s lower to the ground and, as a bonus, is small enough to be portable,” says Mason. Stability is one of the top tips cited by both Dr. McVittie and Parpia, particularly when a child is transitioning to the big toilet. A stool is a great thing to have around for this transition. 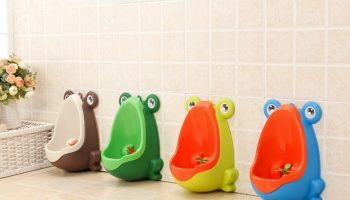 It helps with climbing up, supports little feet when they’re sitting on the potty and can help your child reach the sink when she’s done. Remember, the ultimate goal is to show your child how to go to the bathroom alone so you don’t have to drop everything every time he or she announces: “I have to go!” The easier the potty chair or seat is to use, the more quickly that goal will be reached.